Easy Roasted Cauliflower is a delicious and easy side that the whole family will love. 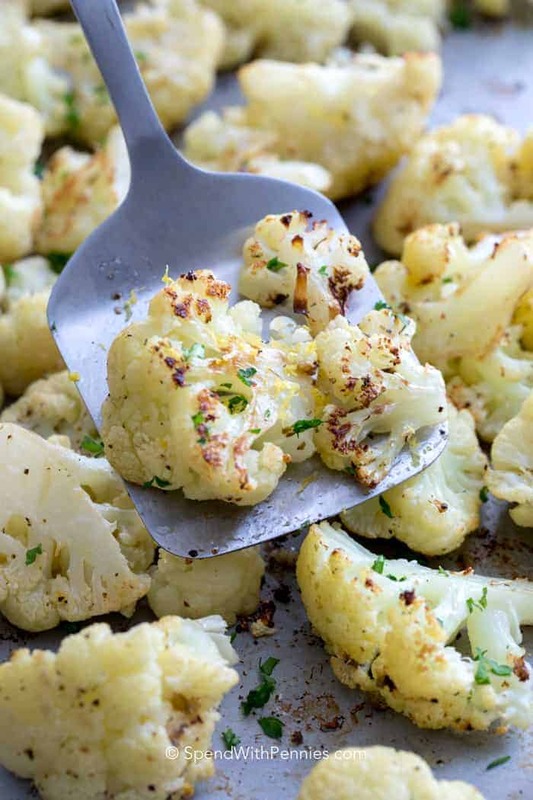 Crisp white cauliflower is tossed in a simple lemon olive oil mixture then roasted to golden perfection! Making great side dishes doesn’t have to take a lot of effort! 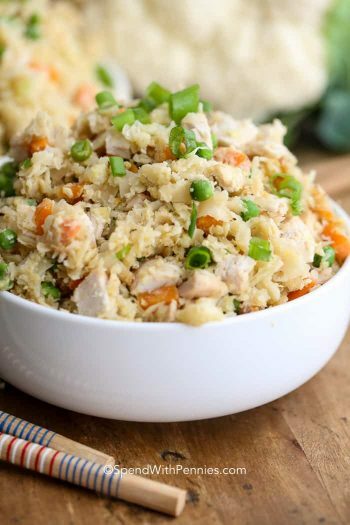 This easy side dish is the perfect accompaniment for Crispy Baked Parmesan Chicken or even Chicken Stroganoff! I always struggle to find a side dish that is healthy, fits nicely with my side, and doesn’t take too much time or effort. I’ve found that roasting vegetables (like my favorite Easy Baked Zucchini) is the perfect side with very little effort and tons of flavor! This lemony roasted cauliflower is simple, super quick, and my husband and daughter call it ‘the star of the show’. What could be better? While I’ve made Whole Roasted Cauliflower, I find that it takes a bit longer so on a weeknight I prefer to chop it up and roast it. 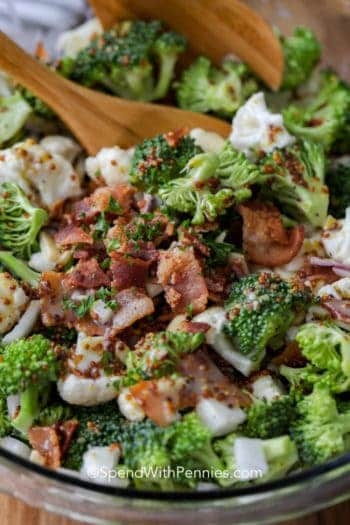 I’ve always added a hint of lemon to my Roasted Parmesan Broccoli so it was a natural that I would add it to my cauliflower too! Most of the roasted cauliflower recipes I’ve seen have parmesan cheese however this dish is both simple and light (although if you like feel free to add a sprinkle of parm to this recipe too)! 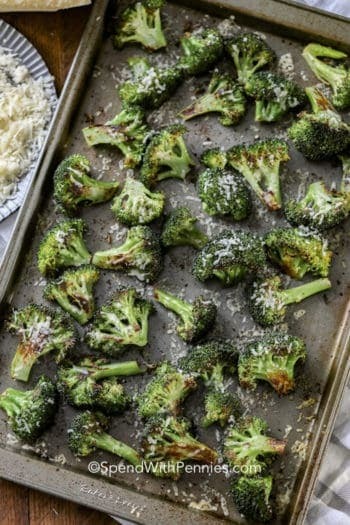 Add in any other veggies you’ like (broccoli or bell peppers work well) to the pan! 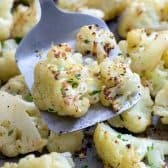 While this is one of my favorite flavor combinations, you can definitely swap up the herbs or add extra lemon zest or even a few chili flakes to this roasted cauliflower to kick it up a notch. Experiment a little and find a flavor combo that makes your taste buds happy! 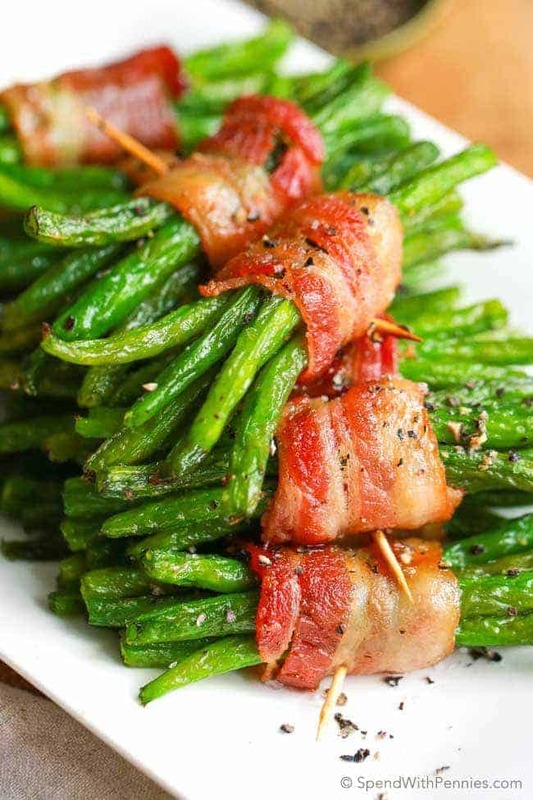 This easy side is low carb, keto friendly and a totally guilt free option everyone loves. If you have a main dish in mind that is also low carb (like a perfectly cooked Steak), you are well on your way to a perfect dinner! 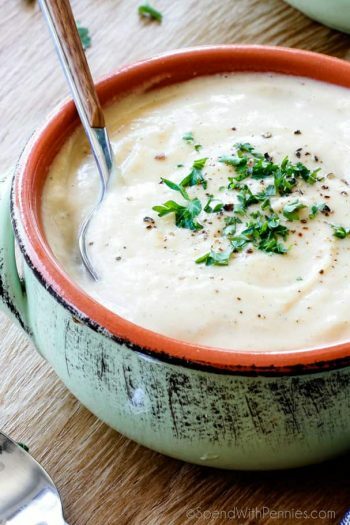 Mashed Cauliflower Potatoes – Easy low carb side dish! Cheesy Broccoli Cauliflower Casserole – From scratch, no condensed soups!! 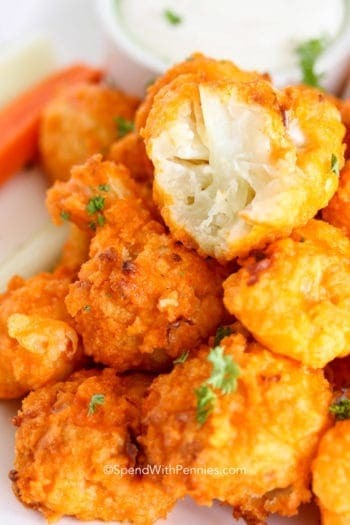 Oven Baked Buffalo Cauliflower – Reader favorite appetizer (and my Mom’s favorite recipe on my site)! It is so so SO simple to make roasted cauliflower. 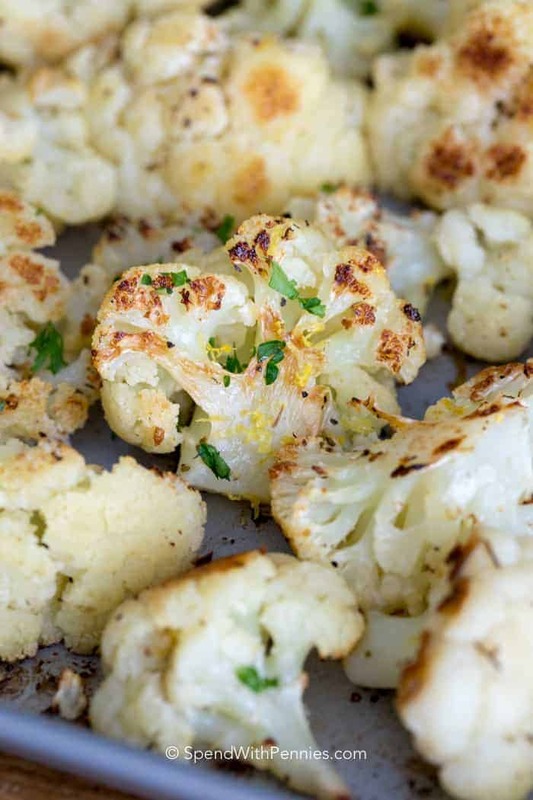 Break the cauliflower into bite sized pieces as uniform as possible so they all roast at relatively the same speed. Next, mix your lemon juice, olive oil, and spices. Toss your cauliflower and oil mixture together until everything is coated nicely. The real key to perfect roasted cauliflower is a high oven temperature. With a higher temperature, you’ll get the beautiful brown caramelization without overcooking the cauliflower. Lower temperatures will cause the cauliflower to cook too much before it browns! Roast your cauliflower in a 425°F oven for 10-15 minutes or until they are fork tender. I find that throwing them on the bottom rack while I have my main dish roasting is the perfect time saver. I like to flip my roasted cauliflower half way through cooking to ensure it roasts evenly! Serve it alongside a main dish like these barbecue ribs made in the oven, or enjoy it as a healthy and low carb snack option! 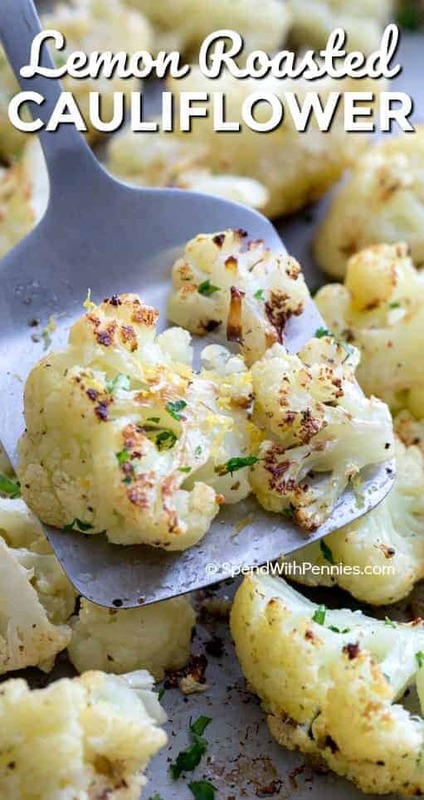 Lemon roasted cauliflower is a delicious and easy side that the whole family will love. 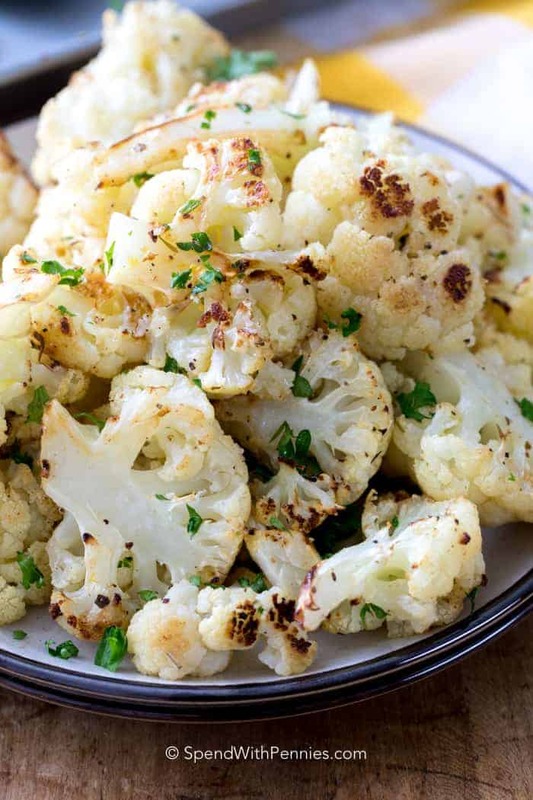 Crisp white cauliflower is tossed in a lemon olive oil dressing then roasted to tender perfection! Combine olive oil, lemon zest, garlic powder, Italian seasoning, salt pepper and lemon juice. Wash cauliflower and break apart into similarly sized pieces. Toss cauliflower with prepared oil and seasoning mixture and mix well. 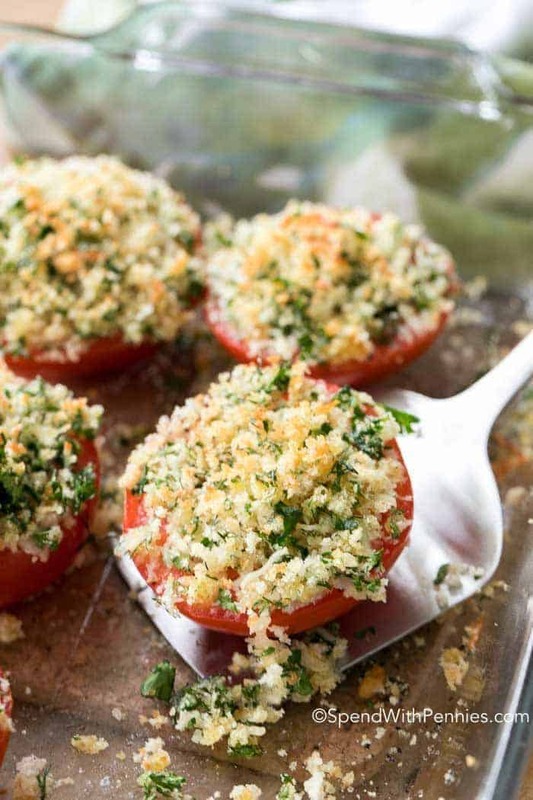 Oven Roasted Tomatoes are the perfect side topped with a delicious garlic parmesan breading!